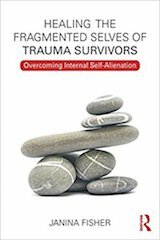 My new book, Healing the Fragmented Selves of Trauma Survivors: Overcoming Internal Self-Alienation, is now out and available on Amazon. This website is devoted to the understanding and treatment of the legacy of trauma: attachment failure, neglect, physical or sexual abuse in childhood, war exposure, sexual assault, medical trauma, and domestic or community violence. It is intended for use by mental health clinicians and other healing professionals, as well as by survivors of trauma.